Joel A. Goldenberg, DDS provides comprehensive cosmetic, family and implant dentistry to Ventura, CA. Dr. Goldenberg started his dental practice after graduating from the USC School of Dentistry in 1983. He is committed to excellence in dentistry. Dr. Goldenberg is a member of the CDA (California Dental Association), ADA (American Dental Association), AAID (American Academy of Implant Dentistry) and the Santa Barbara-Ventura County Dental Society. 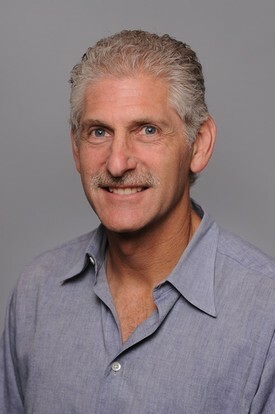 Dr. Goldenberg is well-known for educating his patients and involving them in the diagnosis and treatment planning process. He is very conservative, honest, and appreciates the artistic side of dentistry. For the past six years Dr. Goldenberg has traveled to Honduras with his wife and other local physicians and nurses to provide medical and dental care at a free clinic. He received the prestigious Oral Health Specialist award from the Ventura County Medical Resource Foundation. Dr. Goldenberg lives in Ventura and is happily married with 3 wonderful children. Two of his children, Jessica and Andrew, have followed in his footsteps and become dental professionals. Dr. Jessica Goldenberg works in Ventura, CA and Dr. Andrew Goldenberg works at his dental practice in Westlake Village, CA. Brittney is the dance program teacher at Nordoff High School in Ojai, CA. His passions are: Dentistry, spending time with his family, tennis, water-skiing and chess. 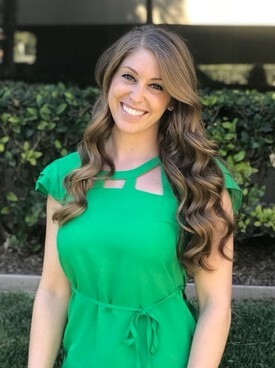 Dr. Jessica Goldenberg was born and raised in Ventura, California. She attended the University of California, Santa Barbara (UCSB) and the University of Southern California (USC) for her undergraduate studies. She graduated from USC with her Bachelor of Science degree in Dental Hygiene. She continued with the Trojan Family at the Ostrow School of Dentistry of USC where she earned her Doctor of Dental Surgery degree. Dr. Goldenberg was the recipient of the prestigious Rex Ingram Award for Excellence in Clinical Operative Dentistry. She is a member of the California Dental Association (CDA), American Dental Association (ADA) and the Santa Barbara- Ventura County Dental Society. Dr. Jessica loves working with patients of all ages, especially families and children. It is important to her to make pediatric dental visits fun and enjoyable. She also enjoys making beautiful smiles with cosmetic dentistry. She prides herself on always being honest and providing conservative dental care. Dr. Jessica Goldenberg lives locally in Ventura County. During the summer, she enjoys waterskiing and wakeboarding with her family at Lake Nacimiento. Dr. Goldenberg looks forward to many years of service in the field of dentistry.